Martha started working from the young age of 16 at her family's seafood restaurant called “Beachcomber” in Greenwich. 3 years later, in 2013, she made the transition with her father to join the team at Seafresh. 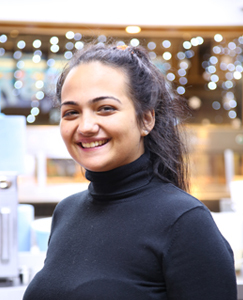 She now is a key member of the front of house team, where she is able to guarantee that the level of care and attention to all of Seafresh’s customers is second to none.